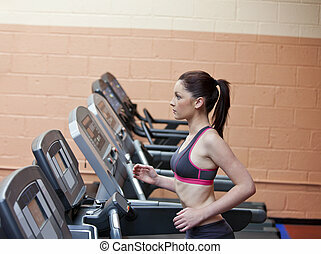 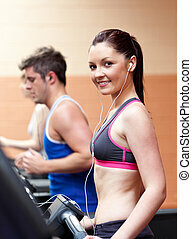 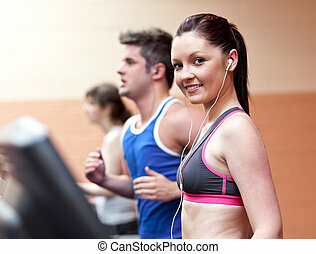 Beautiful female athlete standing on a running machine listening to the music in a fitness centre. 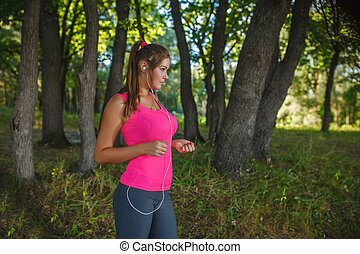 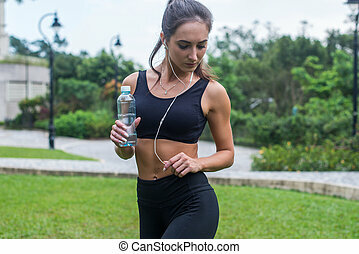 Full length shot of beautiful fitness female model in black sportswear standing on grass in city park and listening to music in earphones holding a bottle. 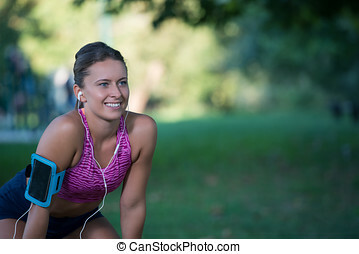 Beautiful young woman training outdoors while using a smartphone to monitor her progress. 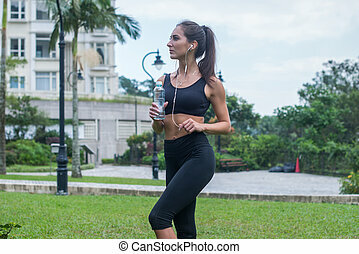 Caucasian female runner. 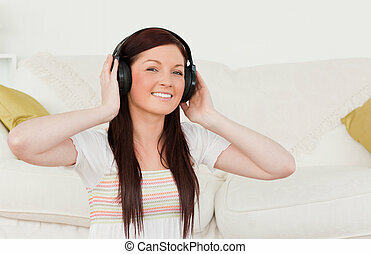 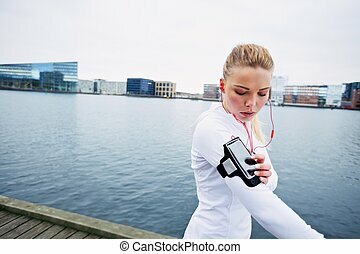 Young female runner is having break and listening to music during the run in city on a quay. 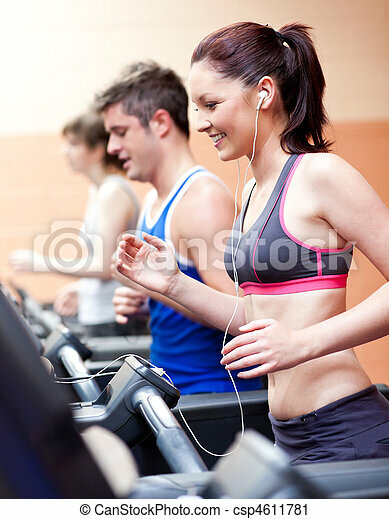 Sport is power. 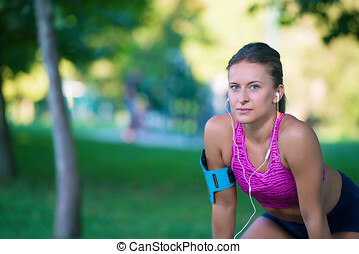 Young sportswoman with a ponytail showing her well trained body while standing with her hands on the hips and listening to the motivating music playing in earphones. 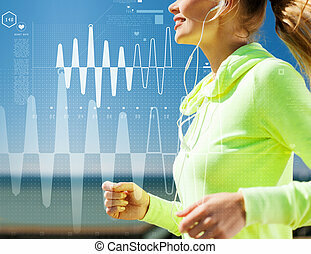 Female athlete, drinking water, listening to music in earphones, resting and recovering from running or exercising standing on top of the mountain against sea, islands and cloudy sky in background.